The ACHP works to foster relationships with Indian Tribes and Native Hawaiian Organizations. The Office of Native American Affairs (ONAA), established in 1998, oversees the Advisory Council on Historic Preservation’s (ACHP’s) Native American initiatives. ONAA staff also works closely with the ACHP’s tribal/Native Hawaiian member to address critical issues brought to the ACHP by Indian tribes, Native Hawaiian organizations (NHOs), and intertribal organizations. The National Historic Preservation Act (“Act”) became law on October 15, 1966, Public Law 89-665, and was codified in title 16 of the United States Code. Various amendments followed through the years. On December 19, 2014, Public Law 13-287 moved the Act’s provisions from title 16 of the United States Code to title 54, with minimal and non-substantive changes to the text of the Act and a re-ordering of some of its provisions. Section 106 of the National Historic Preservation Act requires Federal agencies to take into account the effects of their undertakings on historic properties and afford the Council a reasonable opportunity to comment on such undertakings. A new source of information to aid in the process is the Tribal Directory Assistance Tool (TDAT), developed and administered by the Department of Housing and Urban Development’s Office of Environment and Energy (HUD). This web-based tribal contact database contains information about the geographic areas of current and ancestral interest to federally recognized Indian tribes. Note: Federal agencies should not rely solely on TDAT to identify Indian tribes that should be invited to consult in the Section 106 process and also should consider other sources of information regarding areas of tribal interest. HUD’S Tribal Directory Assistance Tool (TDAT) Information Paper: Effective Section 106 consultation with Indian tribes starts with sound research into which Indian tribes have an interest in the project area. HUD's Newly Updated Online Tool (TDAT) Article: A new source of information to aid in the process is the Tribal Directory Assistance Tool (TDAT), developed and administered by the Department of Housing and Urban Development’s Office of Environment and Energy (HUD). In order to facilitate consultation with Indian tribes and NHOs, ONAA staff regularly develops guidance materials to assist Indian tribes, Native Hawaiian organizations, federal agencies and other Section 106 participants. Follow the link Training and Guidance for ACHP's training and guidance for Indian Tribes, Native Hawaiian Organizations, and federal agencies. In 1992 the National Historic Preservation Act was amended to include and clarify the roles and responsibilities of Indian Tribes and Native Hawaiian Organizations. Responding to the NHPA amendments, the ACHP began a six-year process of revising its regulations and adopted policy statements regarding Indian Tribes and Native Hawaiian Organizations. Follow the link ACHP Native American Policies to see or download the Native American policies. The ACHP, as a Federal agency, recognizes the government-to-government relationship between the United States and federally recognized Indian tribes and acknowledges Indian tribes as sovereign nations with inherent powers of self-governance. Follow the link Government-to-Government Consultation with Indian Tribes to see the ACHP's documents on the Government-to-Government relationship. Improving consultations on unique issues involving Native Hawaiian organizations is the purpose of the interagency working group established by the Department of the Interior (DOI), Department of Defense (DOD), and the Advisory Council on Historic Preservation (ACHP). Follow the link for for information on the Native Hawaiian Working Group. Follow Other Native American Resources for links to inter-tribal organizations and other federal agency American Indian or Native Hawaiian programs. November is Native American Heritage Month. Join with the ACHP in celebrating the history of Native Americans through their vitality, strength, endurance, and their commitments to the Nation. The ACHP fully supports the participation of Indian tribes in the national historic preservation program and acknowledges their significant contributions to our understanding and protection of our nation’s heritage resources." Leonard Forsman, ACHP Vice-Chairman and Chairman of the Suquamish Indian Tribe. The Office of Native American Affairs (ONAA), established in 1998, oversees the Advisory Council on Historic Preservation's (ACHP's) Native American initiatives. ONAA staff also works closely with the ACHP's tribal/Native Hawaiian member to address critical issues brought to the ACHP by Indian tribes, Native Hawaiian organizations (NHOs), and intertribal organizations. In the fall of 2016, federal agencies consulted with Indian tribes regarding tribal input in federal infrastructure decisions. Many tribal commenters at these meetings remarked that Section 106 consultation is often started too late, after project plans with site locations and alignments have been nearly completed, and that Section 106 is not conducted as a process separate from the National Environmental Policy Act (NEPA) review process. In recognition that large scale historic properties of significance to Indian tribes and Native Hawaiian organizations (NHOs) across the United States are increasingly threatened by development, the ACHP launched a Native American traditional cultural landscapes initiative and adopted an action plan in November 2011. In the Section 106 context, the term “sacred sites” is sometimes used as shorthand for historic properties of religious and cultural significance to Indian tribes or Native Hawaiian organizations. As with other kinds of properties, sacred sites must be eligible for the National Register of Historic Places in order to be considered in the Section 106 process. 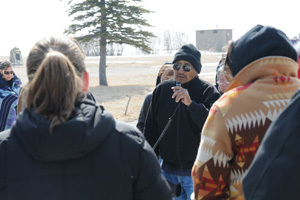 Interested in ACHP's Native Youth program? Learn more about preservation as a potential career choice and making your voice heard in protecting your heritage. Need Section 106 Consultation Assistance? The Office of Native American Affairs has staff assigned to help Indian tribes and Native Hawaiian organizations with various federal agencies. 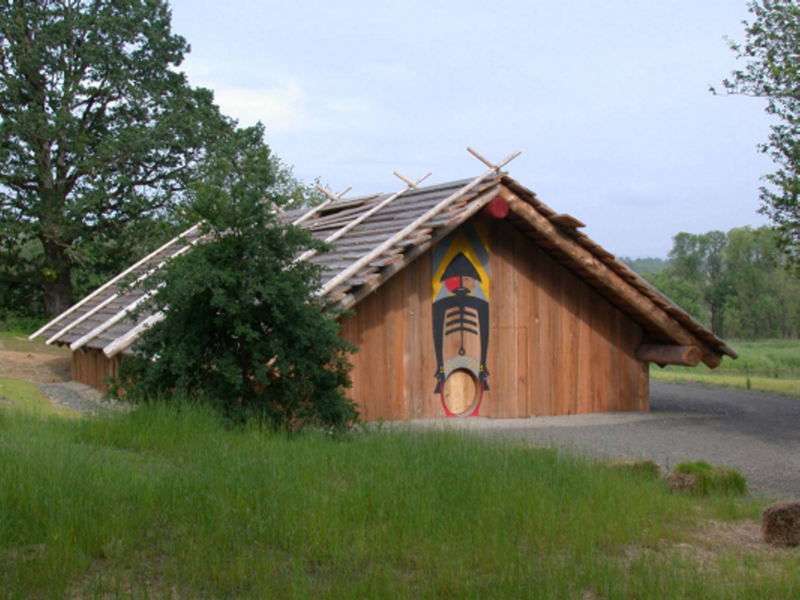 The Columbia River Village of Cathlapotle teaches the present about the past.